I am always curious about the why of things thathappen especially in the criminal world. Whether it is fictional or straight from the headlines, I want to know why someone commits a crime -- especially one that takes another's life, or in some cases even their own. Online blogs and social media tags are often ignored though the warnings are clear in retrospect. 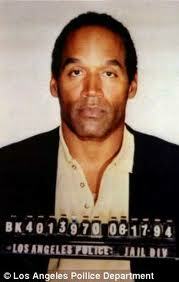 Nicole Simpson told others that one day her husband would kill her and because he was O. J. Simpson, he would get away with it. A few people leave diaries or prepared-for-the-worst-case-scenario suicide notes behind. They are desperate please left as a clear-marked trail if only someone would look for the clues. To a trial defense lawyer, these admissions are another hurdle to jump in attempt to snare a release for their client charged with murder. We would think such admissions would be a clear path to a conviction, but that isn't always what happens either. Tabloids can rake in a ton of sales with headlines and articles that may be true, may be half-truths and may be completely fabricated. A national broadcast channel was caught editing the 911 call made by Zimmerman, distorting what he actually said. What is the truth? Maybe we'll find out the why on this case, but maybe we won't ever find the complete truth. 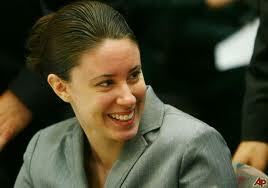 We may never know the truth about Casey Anthony. Her daughter will still be dead. Determining why human beings sometimes don't act quite humanely is a puzzle. Criminal activity isn't anything new. Cain murdered his brother, Abel for a reason as old as time itself: jealousy. In fact, the Bible is more than peppered with crimes, it is well-seasoned with how man isn't always just. Many of those reasons are still filling our prisons today. Why can't we all just get along? When we ask why a crime takes place, we are interested also in finding the guilty party and having him pay for what he's done. We may not be involved in law enforcement nor the judicial system, but we may all take a turn at the jury box. Sharing space with eleven of our peers, we represent the public at large and want to know more than the who and how. We want to know the why of the criminal activity. Read a good mystery -- one that ties up the story all nice and pretty by the book's end. Know that the bad guys are locked away. Know they paid for their crimes. Know they are just pretend characters. The real world is sometimes scary. Sometimes we may not want to really know all the why's. Curiosity killed the cat, you know. I loved this article. So true that people get caught up in these mysteries and sometimes it is disappointing to realize the bad guy 'gets away'. I'm also fascinated by mysteries like Amelia Earhart and Easter Island....no bad guys....just questions......Good Job!! This is a very good article! Makes me wonder if one of the causes of these inhuman behaviors is a chemical imbalance in the brain or merely satan trying once again to cause pain and attempt to shake our faith. This article really made me stop and ponder thoughts in many directions. Thank you for the great read! An Orlando patriarch told me I didn't understand evil… a couple of months before he committed a murder-suicide. I think that's one reason I've become interested in true crime. Such an appropriate post for Holy Week. We do ask why. We rarely find satisfactory answers. Last year I told a woman about a young man I'd watched grow from wayward to repeated criminal, and said I had given up praying for him after 20+ years. In a non-judgmental way, as if requesting a favor of a friend, she asked for his name. She said she understood how disgusted I felt, and when I recovered, would I please pray for him again. Although miles separated us, our prayers would join other voices who believe prayer can make a difference. Perhaps the woman's demeanor exuded such sincerity, I took her words to heart. Is this naive? What if each time we asked why, we prayed for both the criminal and those ravaged by the offence? The basic question is why is there evil in the world? Until we can answer it, we will never understand why some people do terrible things to others. Wow, such a thought provoking article Deborah. Why do people do evil things? Maybe in their though process it's not evil if it's justified? Don't know, but it's hard to wrap your brain around how people can do things you feel are morally disgusting. It makes me wonder if there is anything I do that others question my motives, of course I don't do anything illegal...not in the real world anyway.